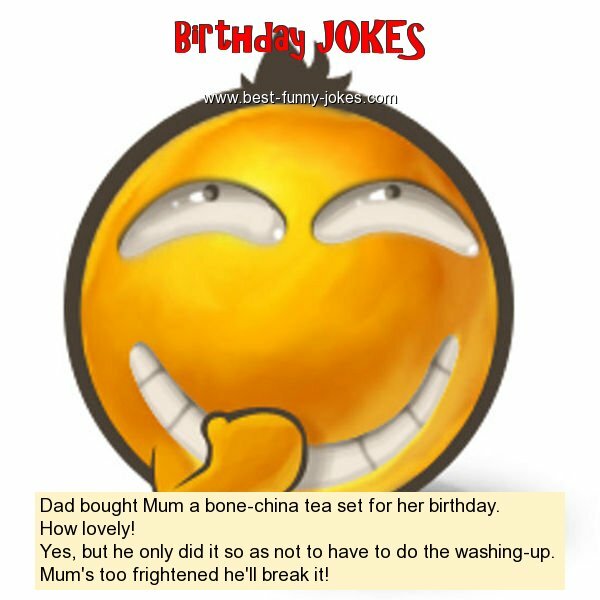 Dad bought Mum a bone-china tea set for her birthday. Yes, but he only did it so as not to have to do the washing-up. Mum's too frightened he'll break it!